Social sector organizations have been notorious about building custom solutions for managing their internal data (except for fundraising products). This includes data for programs, clients & other stakeholders. What's desperately needed is an impact Saas or "SaaS for Social Good" approach. For example, in the last few years, mission-driven organizations have been adapting technology to streamline their core processes, such as grant management, donor management, and community engagement. Cloud-based platforms like Salesforce, NetSuite, and Microsoft, play a key role in this area but they seem to be lacking crucial components for understanding beneficiary and impact data. The current technology for social good is not yet able to streamline beneficiary and program data aggregation when collected from different sources or locations. Also the understanding of true impact at the beneficiary level is still very poor. In this article, we identify five major cloud technology innovations that can be leveraged to improve beneficiary outcomes. In other blogs we have talked about the need for alignment and collaboration between funders and organizations in the field to achieve real change. But along with this cultural shift, we need adequate technology to facilitate this alignment. Cloud computing enables the storing and accessing of data over the internet instead of using a local drive. One of the most common cloud-computing platforms for businesses is Software-as-a-Service (SaaS), where organizations are able to subscribe to an application that hosts data and access to it over the internet. This technology poses a great advantage for the mission-driven organizations that have many partners interacting with the same data from different locations. Based on our clients' feedback, we have identified five innovations needed to leverage SaaS platforms to boost collaboration and alignment between different players in the social-good field. This kind of system is highly required by human services agencies. Let's take a capacity building agency as an example. They know that economic growth is key to lift a community out of poverty, but they also understand that taking un-skilled or low-skilled individuals and advancing them to employment requires the intervention of multiple social services, such as training, home shelter, social skills development, social security benefits, substance abuse treatment, etc. Each agency has its own Case Management system, unable to connect with any other. This barrier results in repetitive data entry, poor collaboration and, often, less-than-optimal services for the beneficiaries. How would SaaS technology help? Many organizations in New York, Seattle, and Michigan, are defaulting to replace the entire IT infrastructure for cloud-based systems. While this is possible, it is not a scalable solution for it requires skills and resources to make it work. 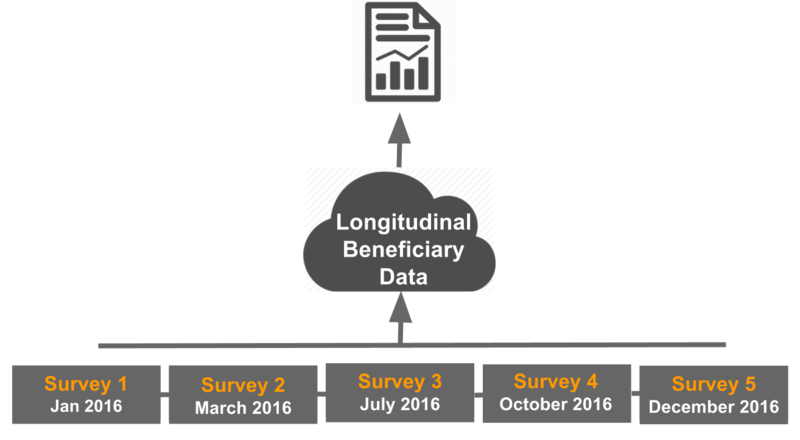 Currently, there are many tools available to mission-driven organizations for collecting offline beneficiary data at any point in time. Some common offline data collection tools are Magpi, SurveyCTO, QuickTap, TaroWorks, and SurveyMonkey. For voice/SMS data collection we have Twilio, Plivo and MogliSMS. But these tools don't have the capability of transfering data from where it is collected to where it is aggregated and analyzed. In this case, we need an integration between these offline data collection tools and a system where all the data could be stored and alyzed over time. In general terms, a feedback loop is a structure where the output of one process influences the input of that same process. Recent technology tools like MogliSMS (mentioned in the previous section) focus on improving this feedback loop between organizations and beneficiaries. In this way, the beneficiaries can provide annonymous feedback about the services they are receiving and the organizations can make agile changes to improve that service. How would SaaS technology help feedback nonprofits use cases? More examples of feedback loop can be found at Feedback Loop Summit and How Can New Technologies Innovate and Demonstrate Evidence of Impact? Foundations are starting to ambition a shift from check-writing to an outcome-oriented giving model. But before that transformation happens, organizations need to take care of the data capacity issues that grantees are facing. 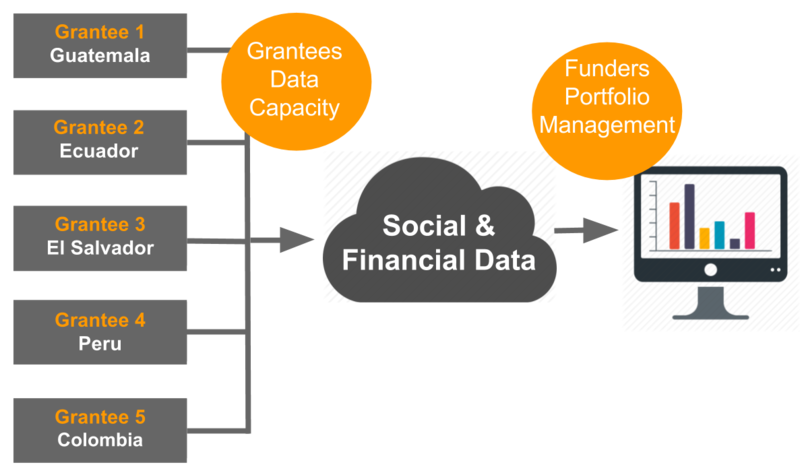 Foundations need to understand the grantees' internal data management needs and grant management integration. Impact Investors should demand a transparent and data-driven reporting from their investees. Funders such as Foundations, Impact Funds, Network organizations, Nonprofits, and International Development Agencies should develop a portfolio-based approach to gather a better understanding of the correlation between their investment and the social outcomes. Today, most funders still collect data in the form of Excel spreadsheets or PDF financial statements, which makes it really hard to manage, aggregate and correlate. SaaS platforms like Impact Manager allow to streamline social and financial data collection from different sources/locations. Once the data is in the same repository, it can be easily aggregated, anualized and reported. Platforms like Impact Maker grant a better understanding of the beneficiary improvement by strengthening the feedback loops and allow for longitudinal data.